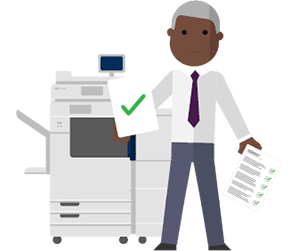 For companies that require printed documents at the drop of a hat, can you afford to rely on an old and inefficient printer? The same printer that takes an age to print a single side of A4, and an even longer wait for an engineer when it’s broken. 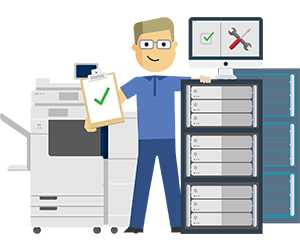 As part of our automated print service, our expert team will work with you to better configure your print management system in-house. 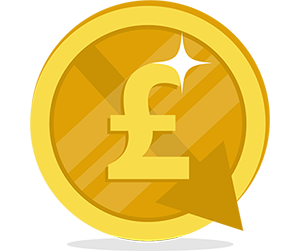 This means introducing new ways of printing, with new IT tools, resulting in a guaranteed reduction in printer down time and printer costs too. Reduced print costs help increase sales revenues and profits. Keep your production line filed, print more jobs every day and take on more work to grow your business. Expand capacity using existing technology & liberate your highly trained staff from routine tasks. 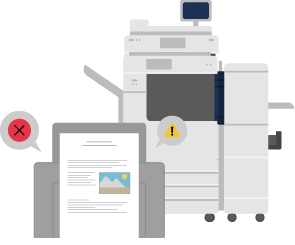 What is an Automated Print Service? If it feels like you spend more time preparing and managing print jobs than actually printing them, you might not be making the most of your internal document production capabilities. Outsourcing marketing materials and other printed collaterals brings limitations – high costs and long lead times mean less control and reduced variation for your customer facing documents. Print automation re-engineers internal print and paper-based production processes to implement decision-making into your workflows, maximizing the use of your existing resources for greater workflow efficiency, enabling reduced operating costs and greater revenues whilst making it easy to automatically and securely process diverse print jobs. • Print more jobs, every day. • Expand capacity using existing technology. • Take on more work and grow your business. • Connect with, attract and satisfy more customers. To discover how Automated Print Services could help your business, contact us today!